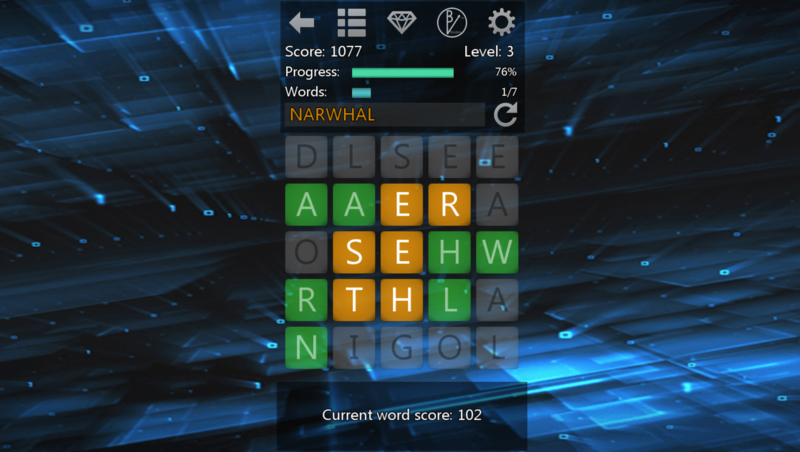 Tap your way through endless levels in this word game adventure. Join Porter and discover the wondrous universe of Word Portal. Pass level 40 to unlock endless game mode - how high can you climb? Play at your own pace; create great words; compete online! - Endless levels of fun word game-play. - Easy and fun to play, but can you reach the top of the leader boards? - Beautiful 3D worlds rendered with the Unity game engine. - Earn achievements online by creating long, unique words. - Online leader boards let you compete against your friends - or the world! - Gain experience to progress from Novice to Savant. - Social integration with Google Play or Game Center account support. - Improve your word vocabulary. - One of the top new app store word games! Want to join the beta program? Join the Bent Vector community on Google+ and let us know (Plus.google.com). on the App Store today! Want to join the beta program? Join the Bent Vector community on G+ and let us know. After 10 months of work on our first major Unity title, Word Portal has been released for iOS and Android!! How we at Bent Vector get from concept to shipping in the shortest time without compromising on fun! How we learned how to create Word Portal's game boards procedurally. Word Portal demo, level 1, beta 4.